Milly is a 5 year old Yorkiepoo, whose owner contacted me for dog training in Greenburgh NY. Even though Milly is cute and very little, she had an unfriendly side. Overall she was great with her family, but she would bark, lunge and try to bite any guest who visited the home. This behavior resulted in either Milly being placed in a different room and barking constantly while company was over or her family on constant guard when she was in the room with guests. Neither option was ideal or working well. So we had to get to work on not only helping Milly and her family, but also dispelling the myth that “You can’t teach an old dog new tricks”. Milly’s “rude” behavior stemmed from a lack of structure and proper training as a puppy. The first thing we did was enact an Obedience-First Training Approach. Most people make the mistake of attacking the symptom, which in this case was her aggression toward strangers. When the proper thing to do is address the root underlying cause of her aggression…the lack of structure and insufficient impulse control. That is exactly what we did, taught Milly important life skills that will help her and her family. 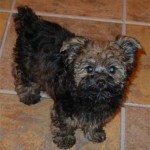 By taking Milly through my Obedience-First Training Approach, we were able to solve a 5 year old problem. I want to reassure you, whatever you are struggling with your dog, we can fix it. 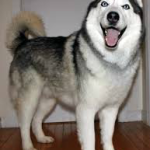 Hickory’s owners contacted me for dog training in Greenburgh NY, because her bright 3 year-old Husky was experiencing separation anxiety. When he was a puppy, his owner worked out of the home and had a dog walker come mid-day. At that point his behavior was fine, but things started to change when his owner retired. The retirement was not only a major life change for his owner, but also for Hickory. His owner was now home most of the day and Hickory was getting too attached to being with someone all the time. The lack of alone time was becoming problematic. When his owner did leave for appointments and social activities, she would come home to an overanxious dog who was destroying the home. Pillows from the couch were ripped, water dish spilled, and the front window blinds torn and hanging. 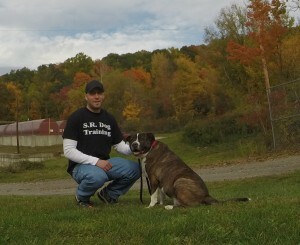 She now knew help was needed, so she contacted me for dog training in Greenburgh NY. During my initial consultation with Hickory and his owner, it was evident to me that he is a very smart and happy dog who just needed to feel comfortable again when left home alone. His owner told me she found it difficult to find a dog trainer in Greenburgh NY who had experience and was capable of helping her with this frustrating problem. I have worked with many separation anxiety cases in the past, so we immediately began implementing my training protocol. This is all part of my Adult Dog Training program. A few of the components we implemented were a predictable walking/exercise program, which would allow us to leave Hickory tired when his owner left, so he would sleep and be chipper and ready to go when she came home. The second step was to utilize “special high value toys” that would safely entertain him when he was left alone. We also instituted a desensitization plan in order gradually increase the time Hickory was left alone. These three steps, among other adjustments, proved to be the recipe that helped return Hickory to the dog her owned had remembered. Hickory learned to work through his separation anxiety and can now be happily left alone for extended periods of the day. His owner is also relieved that she no longer has to be stressed and worried about what she will return home to. Whether you are in need of dog training in Greenburgh NY or anywhere else, make sure you contact an experienced dog trainer who only utilizes simple, safe, and effective dog training principles. There is no need for you to continue to struggle with your dog’s unwanted behavior issues, ignoring of your commands, or problematic puppy training problems. There is a lot of misinformation on the internet when it comes to dog training which can be confusing, frustrating, and ineffective.